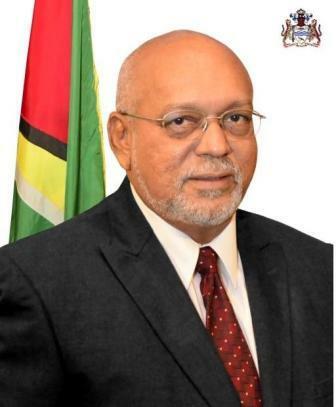 President of Guyana, Donald Ramotar. President Donald Ramotar is of the view that for agriculture to prosper in this region, it will first need to be de-stigmatized it and modernised. He noted that the Caribbean people as a whole continue to wrongfully view agriculture as inferior to most other sectors. The President was at the time addressing the signing of the Caricom Development Fund Country Assistance Programme for agriculture in Guyana. Ramotar noted that the perception is that “agriculture is for the uneducated and involves working with your hands in the mud”. However, he said given the new technologies being invented and the move to modernise agriculture should serve to boost the young people’s interest. He said while the use of technology should stimulate their scientific appetite, increased production using modern technologies should also increase the income thereby making agriculture more attractive for investments. And speaking to the high food import bill in Caricom, Ramotar said not only does this region possess the capacity to fill that need, but also to do many other positive things for the Caribbean Community. These include creating more jobs and retaining scare resources to be used for other developmental projects. President Donald Ramotar has lead responsibility for agriculture in the region, and his plug for local production of food rides on the Jagdeo Initiative for agriculture, which is yet to be implemented.